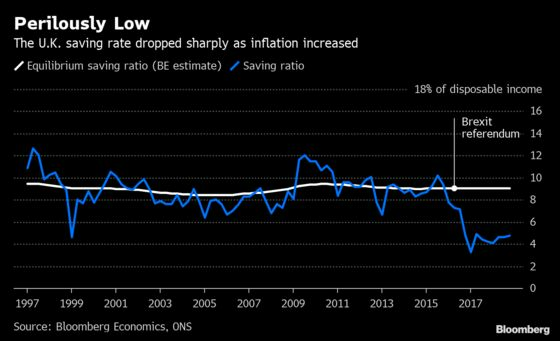 The U.K. household saving rate has tumbled in recent years, though that partly reflects efforts ride out the real income shock that came with the sharp rise in inflation in 2017. Still, whatever happens with Brexit, the rate is perilously low by historical standards, according to Bloomberg Economics. If households decide to retrench and rebuild their coffers, the economy will take a knock.